Permalink Submitted by dodge on Sat, 08/30/2014 - 14:39. 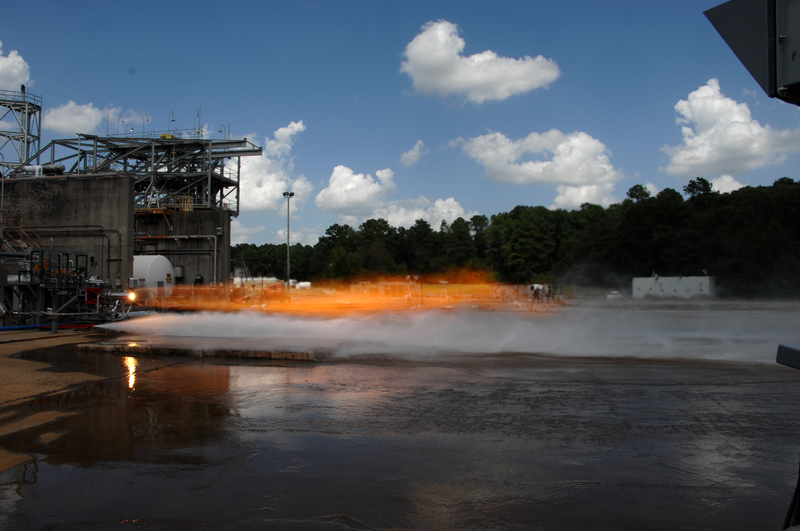 Sparks Fly as NASA Pushes the Limits of 3-D Printing Technology. Engineers just completed hot-fire testing with two 3-D printed rocket injectors. 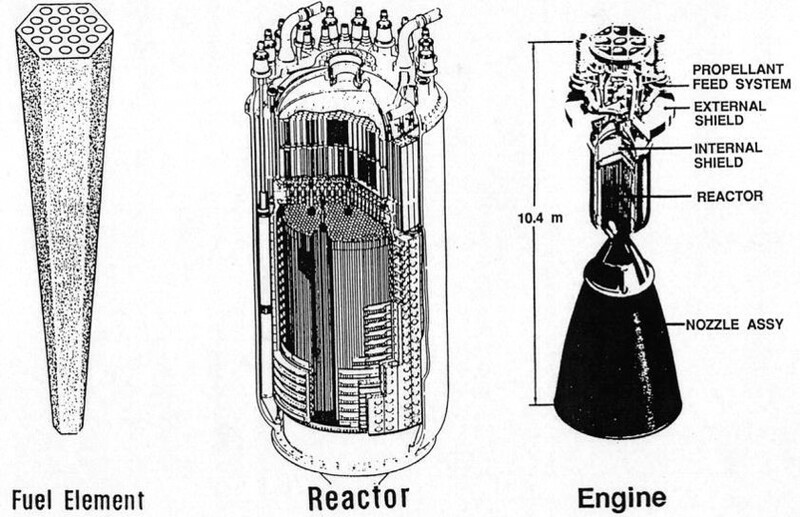 Certain features of the rocket components were designed to increase rocket engine performance. The injector mixed liquid oxygen and gaseous hydrogen together, which combusted at temperatures over 6,000 degrees Fahrenheit, producing more than 20,000 pounds of thrust. Permalink Submitted by dodge on Sat, 08/30/2014 - 14:40. 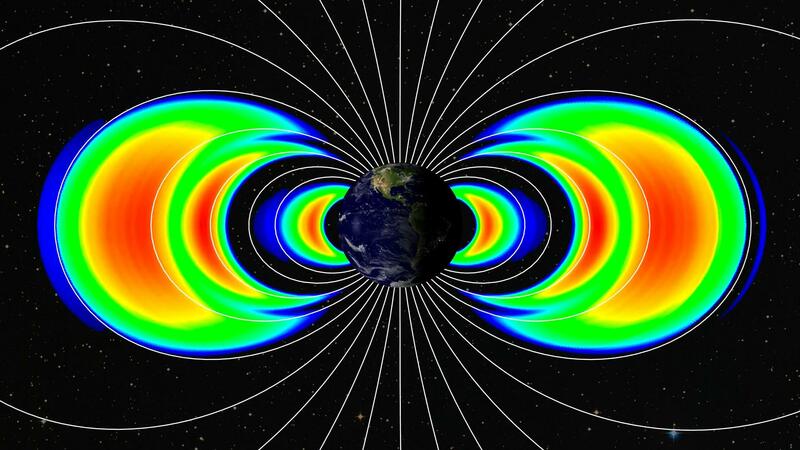 NASA Probes Studying Earth’s Radiation Belts to Celebrate Two Year Anniversary. This image was created using data from the Relativistic Electron-Proton Telescopes on NASA's twin Van Allen Probes. It shows the emergence of a new third transient radiation belt. The new belt is seen as the middle orange and red arc of the three seen on each side of the Earth. Permalink Submitted by dodge on Fri, 09/05/2014 - 16:25. 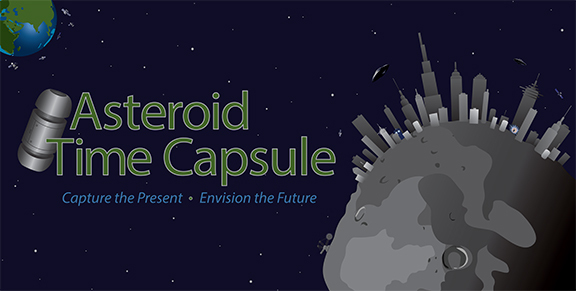 NASA's OSIRIS-REx mission launches Asteroid Time Capsule -- a mission to collect ideas from the public about space exploration 10 years from now. NASA vyzývá světovou veřejnost, aby předložily krátké zprávy a obrázky na sociální média, které by mohly být vloženy do časové schránky na palubě kosmické lodi spuštění na asteroidu v roce 2016. Permalink Submitted by dodge on Fri, 09/05/2014 - 23:16. NASA Awards Ozone Mapping and Profiling Suite Modification for the Joint Polar Satellite System-2 Mission. Permalink Submitted by dodge on Tue, 09/09/2014 - 03:03. NASA Selects U.S. Firms to Provide Commercial Suborbital Flight Services. NASA has selected four companies to integrate and fly technology payloads on commercial suborbital reusable platforms that carry payloads near the boundary of space. The selection is part of NASA's continuing effort to foster a viable market for American commercial reusable suborbital platforms that allow testing of new space technologies within Earth's atmosphere. Permalink Submitted by dodge on Wed, 09/10/2014 - 06:02. 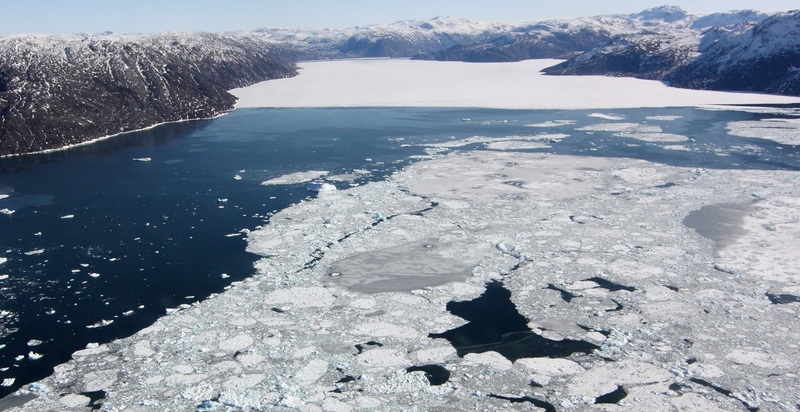 NASA Announces Media Briefing on Arctic Climate Change Campaigns. Changing sea ice and climate conditions in the Arctic are the focus of three NASA airborne research campaigns in the field this summer and fall. Permalink Submitted by dodge on Wed, 09/10/2014 - 06:04. NASA Selects Wallops Engineering Services Contract. NASA has awarded a contract to ASRC Space and Defense, Incorporate (AS&D) of Greenbelt, Maryland for the Wallops Engineering Services contract procurement for NASA Goddard Space Flight Center’s, Wallops Flight Facility, located at Wallops Island, Virginia. This contract is a cost-plus-fixed-fee, indefinite delivery/indefinite quantity contract with a minimum ordering value of $100,000 and a maximum ordering value of $46.3 million. The period of performance will be five years from the effective date of Dec 1. This acquisition will have a separate 30-day phase-in purchase order that will begin Nov 1. The contract was awarded under the Small Business Set Aside program. NASA Announces Student-focused Experiment Program Awards. Permalink Submitted by dodge on Wed, 09/10/2014 - 06:05. The International Space Station Program Science Office has announced the award recipients for the International Space Station Post-Graduate Innovation Awards in Space Life and Physical Science Research opportunity. The NASA Research Announcement was targeted at reaching graduate students and post-doctoral fellows who were already starting a career as science researchers in the Life and Physical Sciences disciplines. Proposals included innovative ideas for microgravity research specifically in the areas of physical sciences, microbiology and space physiology. Permalink Submitted by dodge on Mon, 09/15/2014 - 06:35. 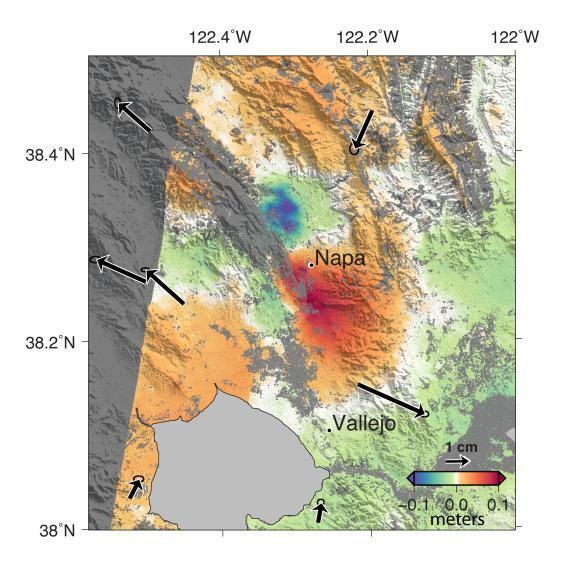 NASA Research Aids Response to Earthquake in California's Napa Valley. Data collected five days after the magnitude 6.0 Napa earthquake on Aug. 24 determined that the earthquake surface rupture was complex, with multiple fault offsets near the quake epicenter. Each colored contour in the image represents about 12 centimeters of ground displacement. 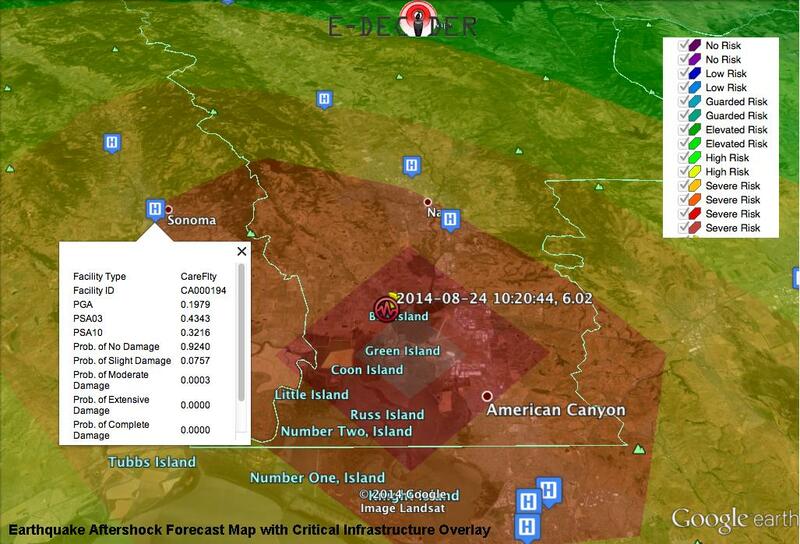 A strain magnitude map of the Aug. 24, 2014 Napa California quake, developed under NASA's E-DECIDER disaster decision support system. The map, which highlights areas where the greatest ground deformation has occurred based on a fault model, was given to state officials to assist response efforts. 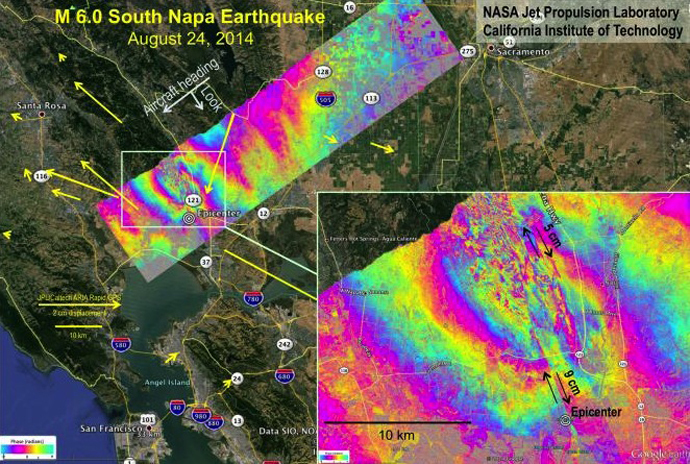 NASA, Italian Space Agency (ASI) and university scientists analyzed radar images from ASI's COSMO-SkyMed satellites to calculate Earth surface deformation from the Napa quake. The colors show how much permanent surface movement occurred during the one-month interval between two satellite images. NASA's C-20A Earth science aircraft carrying the UAVSAR pod lifts off the runway at Edwards Air Force Base. The eight-foot-long pod houses the sophisticated L-band synthetic aperture radar that was able to measure fault offsets from the Napa Valley earthquake. Permalink Submitted by dodge on Fri, 09/19/2014 - 05:47. NASA's 2015 Sample Return Robot Challenge Open for Registration. A team robot approaches the sample during the 2014 NASA Centennial Challenges Sample Return Robot Challenge at the Worcester Polytechnic Institute (WPI) in Worcester, Mass. Teams are required to demonstrate autonomous robots that can locate and collect samples from a wide and varied terrain, operating without human control. The objective of the competition is to encourage innovations in autonomous navigation and robotics technologies. Innovations stemming from the challenge may improve NASA's capability to explore a variety of destinations in space, as well as enhance the nation's robotic technology for use in industries and applications on Earth. Permalink Submitted by dodge on Tue, 09/23/2014 - 20:30. NASA Manager Honored for Launching New Era of Private-Sector Spacecraft. 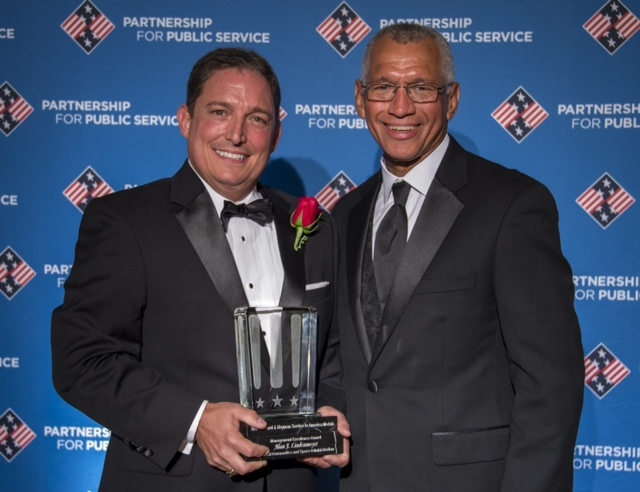 Alan Lindenmoyer, manager of NASA's Commercial Crew and Cargo Program at the agency's Johnson Space Center in Houston, stands with Charles Bolden, NASA Administrator, shortly after Bolden presented Lindenmoyer the 2014 Samuel J. Heyman Service to America Medal by the Partnership for Public Service, Monday, Sept. 22, at the Andrew Mellon Auditorium in Washington. Lindenmoyer was recognized for transforming NASA’s space travel programs, helping the U.S. continue important space research while reducing taxpayer costs and stimulating the commercial space industry. Permalink Submitted by dodge on Wed, 09/24/2014 - 19:31. 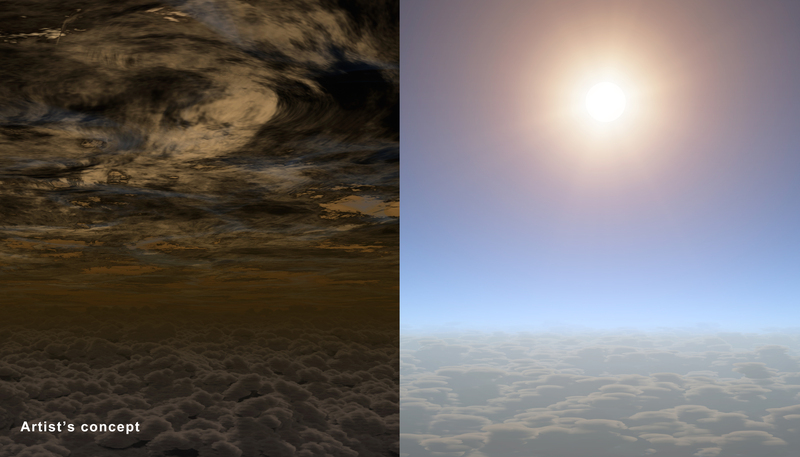 NASA Telescopes Find Clear Skies and Water Vapor on Exoplanet. 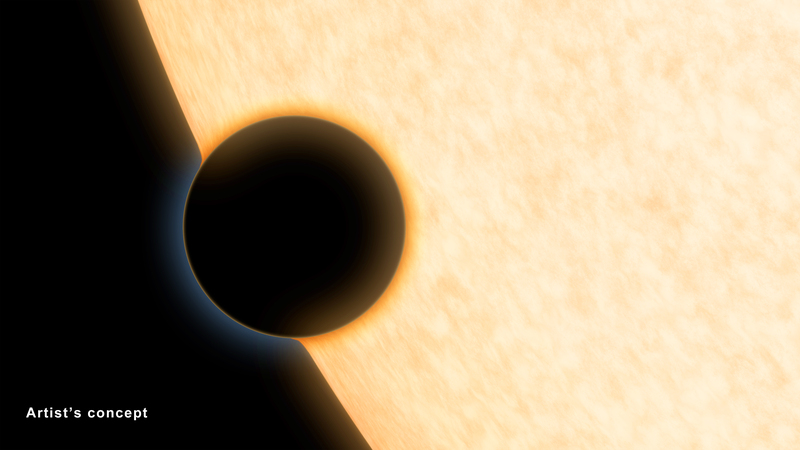 A Neptune-size planet with a clear atmosphere is shown crossing in front of its star in this artist's depiction. Such crossings, or transits, are observed by telescopes like NASA's Hubble and Spitzer to glean information about planets' atmospheres. 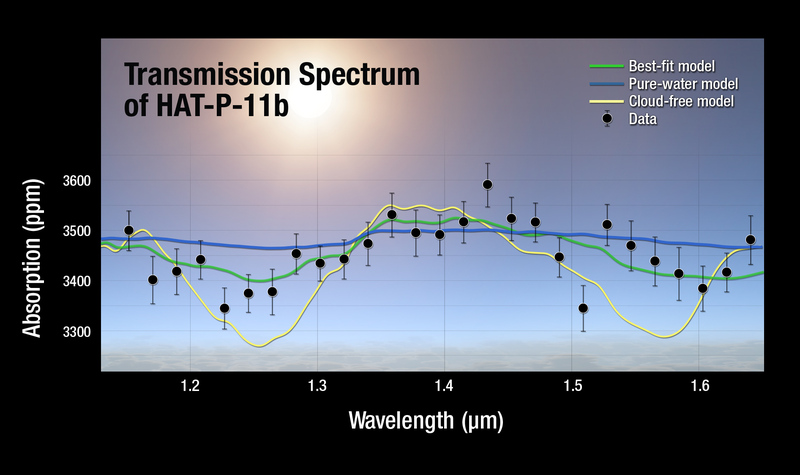 A plot of the transmission spectrum for exoplanet HAT-P-11b, with data from NASA's Kepler, Hubble and Spitzer observatories combined. The results show a robust detection of water absorption in the Hubble data. Transmission spectra of selected atmospheric models are plotted for comparison. Permalink Submitted by dodge on Fri, 09/26/2014 - 06:08. NASA Awards Glenn Multiple Award Construction Contract. NASA has selected eight companies to perform competitively bid construction and non-construction task orders at NASA’s Glenn Research Center in Cleveland under a new multiple award construction contract. The selected firms are Brigadier Construction Services, PPW Builders, Inc. and Terrace Construction all of Cleveland; Erie Affiliates, Willoughby Hills, Ohio; Pinnacle Construction and Development Group, Willoughby, Ohio; R.J. Runge Company Inc., Port Clinton, Ohio; Cherokee General Corporation, Federal Way, Washington and Meltech Corp. Inc., Landover, Maryland. The task orders will be performed at the center’s Lewis Field campus in Cleveland and Plum Brook Station campus in Sandusky, Ohio. The multiple award construction contract supports Glenn’s general construction tasks in the areas of architecture, civil, structural and mechanical engineering. Contractual services also include plumbing, HVAC, electrical, instrumentation and controls, demolition and design build. NASA Awards Agency-wide Helium Contract. NASA has awarded an agency-wide multiple award contract to Air Products and Chemicals, Inc. of Allentown, Pennsylvania, and Linde, LLC of Murray Hill, New Jersey, consolidating the agency’s requirements for 10.2 million liters of liquid helium and 128.6 million cubic feet of gaseous helium to support operations at 13 NASA locations. Air Products and Chemicals, Inc. supply helium to the agency’s Glenn Research Center in Cleveland and Kennedy Space Center in Florida. This firm-fixed price contract begins Oct. 1 and has a maximum value of $28.8 million, with a potential performance period of five years. Linde, LLC will supply helium to NASA’s Columbia Scientific Balloon Facility in Palestine, Texas; Goddard Space Flight Center in Greenbelt, Maryland; Johnson Space Center in Houston; Jet Propulsion Laboratory in Pasadena, California; Michoud Assembly Facility in New Orleans; Marshall Space Flight Center in Huntsville, Alabama; Ames Research Center in Moffett Field, California; Langley Research Center in Hampton, Virginia; Armstrong Flight Research Center in Edwards, California; White Sands Test Facility in Las Cruces, New Mexico; and, Stennis Space Center in Mississippi. This firm-fixed price contract begins Oct. 1 and has a maximum value of $14.8 million, with a potential performance period of five years. Helium is used throughout NASA as a cryogenic agent for cooling various materials and in precision welding applications, as well as lab use. Helium also is used as an inert purge gas for hydrogen systems and as a pressurizing agent for ground and flight fluid systems of space vehicles. Permalink Submitted by dodge on Fri, 09/26/2014 - 16:47. NASA Expands Commercial Space Program, Requests Proposals for Second Round of Cargo Resupply Contracts for International Space Station. On the heels of awarding groundbreaking contracts to U.S. commercial space companies to ferry American astronauts to the International Space Station, NASA has released a request for proposals (RFP) for the next round of contracts for private-sector companies to deliver experiments and supplies to the orbiting laboratory. Under the Commercial Resupply Services 2 RFP, NASA intends to award contracts with one or more companies for six or more flights per contract. 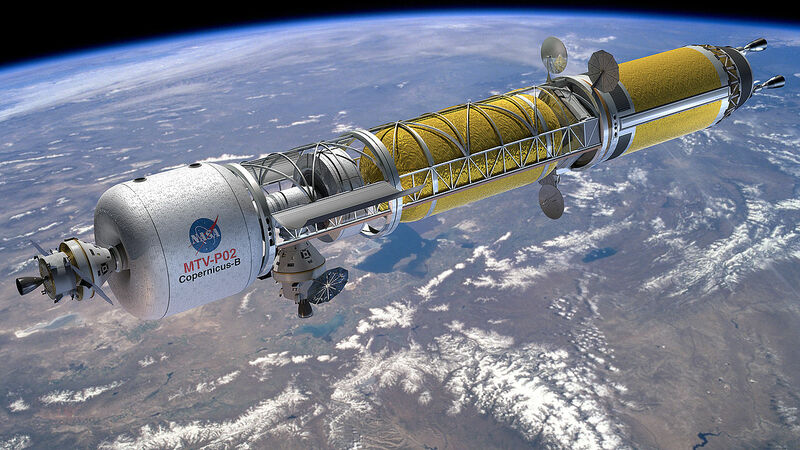 As with current resupply flights, these missions would launch from U.S. spaceports, and the contracted services would include logistical and research cargo delivery and return to and from the space station through fiscal year 2020, with the option to purchase additional launches through 2024. Earlier this year, the Obama Administration decided to extend the life of the International Space Station until at least 2024. Permalink Submitted by dodge on Wed, 10/01/2014 - 09:18. USA a Indie budou spolupracovat na výzkumu Marsu a na dálkovém průzkumu Země. Na setkání v úterý v Torontu, administrátor NASA Charles Bolden a K. Radhakrishnan, předseda indické Space Research Organisation (ISRO), podepsali dva dokumenty týkající se vypuštění satelitu NASA-ISRO pro dálkový průzkum Země a vytvoření cesty pro budoucí společné mise pro průzkum Marsu. 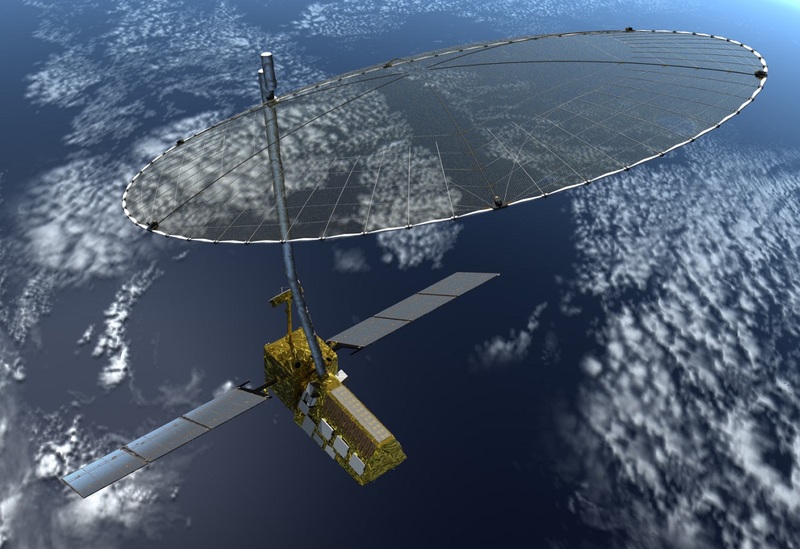 NASA-ISRO Synthetic Aperture Radar (NISAR), s plánovaným vypuštěním v roce 2020. Permalink Submitted by pospa on Wed, 10/01/2014 - 10:15. Jj, NASA pomáhá ISRO s komunikací k MOM už dnes, viz sí DSN. Permalink Submitted by dodge on Wed, 10/01/2014 - 10:24. Jedním z cílů pracovní skupiny vytvořené mezi NASA a ISRO, je také případné koordinované pozorování a analýza dat mezi Maven a MOM, stejně jako další současné i budoucí mise k Marsu. Permalink Submitted by dodge on Fri, 10/17/2014 - 14:32. NASA a SpaceX budou sdílet data ze supersonického restartu motorů prvního stupně. Permalink Submitted by dodge on Sat, 10/18/2014 - 08:20. Jak NASA a SpaceX pracují společně na přistání na Marsu. Permalink Submitted by dodge on Wed, 10/22/2014 - 08:01. Permalink Submitted by dodge on Tue, 11/18/2014 - 10:45. Srovnávací studie rozdílného přizpůsobení mužského a ženského organismu na kosmické lety. Hlavní rozdíly mezi muži a ženami v oblasti kardiovaskulárního, imunologického, senzomotorického, pohybového aparátu a behaviorální úpravy lidských letů do vesmíru. Permalink Submitted by dodge on Wed, 01/28/2015 - 18:48. 28. leden 2015 vzpomínkový den na hrdiny NASA. Permalink Submitted by dodge on Thu, 01/29/2015 - 14:50. NASA hodlá využít svých 16 motorů SSME, které jí zbyly po raketoplánu. Počátek testů komponentů motoru J-2X firmou Aerojet Rocketdyne. O J-1X jsem doposud neslyšel, má to něco společného s J-2X? Permalink Submitted by Geal on Thu, 01/29/2015 - 16:13. Permalink Submitted by dodge on Thu, 01/29/2015 - 16:35. Pardon moje chyba, správně má být J-2X. Permalink Submitted by Geal on Thu, 01/29/2015 - 16:46. Jenže J-2X byl v zásadě definitivně zabalen, protože i přes zvýšení Isp na ~4.4 kNs/kg se v roli motoru pro horní stupeò SLS jevil jako neperspektivní. Permalink Submitted by Ervé on Fri, 01/30/2015 - 07:50. Nárůst Isp byl totiž vyrušen nárůstem hmotnosti motoru - slepá ulička. To takový RL-60, to je něco úplně jiného, ten by měl dostat šanci. Permalink Submitted by Geal on Fri, 01/30/2015 - 10:07. Tohle mi moc nedává smysl. Ten nárůst Isp, o kterém mluvím, se týká porovnání s J-2, který měl jen 4,1 kNs/kg. To by se muselo stát něco opravdu špatného, aby takovéhle zlepšení převážila vyšší hmotnost motoru, když je jen jeden a tlačí kolem sta tun nebo i víc, a ten nárůst je jenom v řádu stovek kilogramů. Permalink Submitted by Ervé on Fri, 01/30/2015 - 12:48. Jenomže srovnávat nesmíte s J-2 (1438 kg suchý, Isp 421 s), ale s následným J-2S, který byl v roce 1972 připraven k ostrému nasazení (1400 kg, Isp 436 s). Potom srovnání s J-2X (2472 kg, 448 s) už zdaleka tak dobře nevypadá. J-2X zprasili, náskok 30 let technologie se vůbec neprojevil. Permalink Submitted by PinkasJ on Fri, 01/30/2015 - 17:13. Permalink Submitted by dodge on Sat, 01/31/2015 - 07:56. Plány na zkoumání vesmíru s jaderným pohonem. Klíčové prvky jáderného motoru Nerva. Permalink Submitted by Ervé on Wed, 02/04/2015 - 07:30. To se pletete, rozdíl v tahu je 1310 kN J-2X oproti 1138,5 kN J-2S. Rozdíl je tedy jen 15%. Pokud vezmeme teoretický 100 t těžký stupeò, tak s J-2S při konečné hmotnosti 48 t dosáhneme dv=3138 m/s, zatímco s J-2X při konečné hmotnosti 49 t (o tunu těžší J-2X) dá dv=3134 m/s, tedy o 4 m/s méně!! Nejblíž se k sobě přiblíží při konečné hmotnosti 38/39 t (rozdíl jen 0,2 m/s), pak se zase začnou vzdalovat ve prospěch J-2S. To S je simplified. Permalink Submitted by kamilfredo on Wed, 02/04/2015 - 08:06. Permalink Submitted by Ervé on Wed, 02/04/2015 - 10:49. Při větší počáteční i konečné hmotnosti je výhoda na straně J-2X, 150 t blok dá při konečné hmotnosti 65/66 t dv o 25 m/s vyšší ve prospěch J-2X (profil Apolla, 150 t blok na orbitu (130 t) a pak k Měsíci. Jenže 25 m/s za cenu 1 miliardy je dost málo, přidat 1,1 tuny paliva by vyšlo na míò se stejným efektem. Permalink Submitted by Geal on Sun, 02/08/2015 - 04:20. Permalink Submitted by Ervé on Sun, 02/08/2015 - 08:24. Je otázka, kolik by stál restart výroby J-2S oproti vývoji J-2X. Rozhodli se pro J-2X, jen pořád doufám, že se ho později podaří odlehčit. Permalink Submitted by Geal on Sun, 02/08/2015 - 09:31. Kolik by stál restart výroby motoru ručně svařovaného z trubek v porovnání se zavedením motoru vyráběného přesným odléváním, CNC obráběním, a možná i 3D tiskem? Já si ani nejsem jist, že lidé s potřebnými skilly jsou ještě naživu. Permalink Submitted by dodge on Mon, 03/02/2015 - 18:00. 3. března 2015 NASA slaví 100 let od založení svého předchůdce - Národního poradního výboru pro letectví, neboli NACA. S malým rozpočtem a bez placených zaměstnanců, NACA začal rozvíjet schopnosti amerického národa potřebné k získání vedoucí pozice v letectví. Po celou dobu, a za druhé světové války, NACA vyvinul nebo přispěl k rozvoji mnoha leteckých objevů, které se používjí dodnes - kryty hvězdicových motorů, zatahovací podvozek a kompresor proudového motoru a turbíny. Když se národ začal zaměřovat na lety do vesmíru v průběhu padesátých let, bylo rozhodnuto, že 7500 zaměstnanců NACA a 300 milionů dolarů v zařízeních se od 1. října 1958 změní na novou agenturu - NASA. 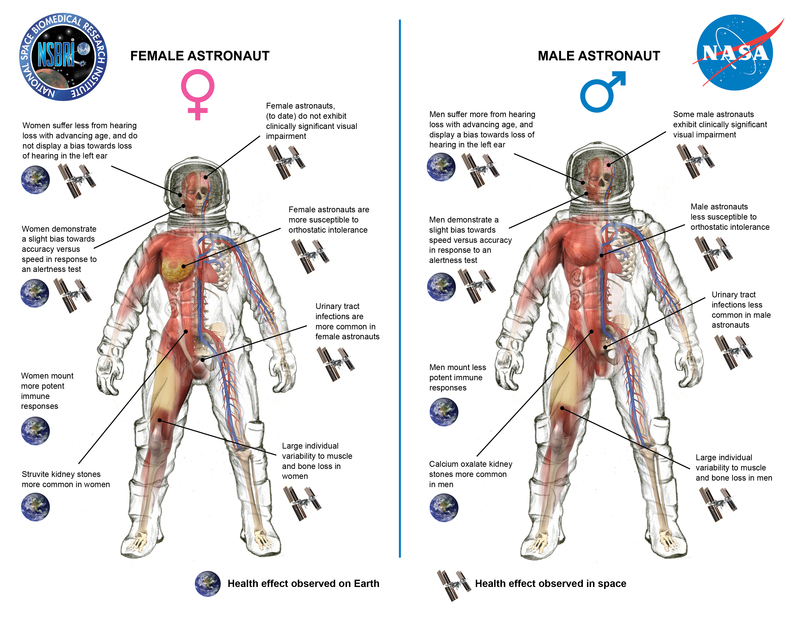 Některé z nejlepších myslitelů NACA se stali vůdci úsilí výzkumu vesmíru a řediteli výzkumných center NASA. Jeden bývalý zaměstnanec NACA zanechal první stopy na Měsíci. Permalink Submitted by dodge on Wed, 03/04/2015 - 06:47. NACA byl založen před 100 lety. Permalink Submitted by dodge on Fri, 03/06/2015 - 10:48. Výpočetní středisko NASA v roce 1961. Permalink Submitted by milantos on Fri, 03/06/2015 - 11:47. Jen ten text, který se to snaží vysvětlit,je nějak tak mimo . V té době se už matematické vztahy počítaly na sálových počítačích.A v roce 60 už ani ne na elektronkových, ale tranzistorových. Permalink Submitted by pospa on Fri, 03/06/2015 - 14:52. [quote]Jen ten text, který se to snaží vysvětlit,je nějak tak mimo . V té době se už matematické vztahy počítaly na sálových počítačích.A v roce 60 už ani ne na elektronkových, ale tranzistorových. [/quote]Ale ten vysvětlující text mluví o výpočtech pro "první lety do vesmíru, ale také rovnice k atomové bombě nebo k prvním nukleárním reaktorům." Takže popisuje spíš situaci ve 40. a 50 letech. Také se tam píše: "...přiznejme, že tyto dvě fotografie je jen hra pro veřejnost. Na tabuli nejsou žádné skutečné výpočty, které NASA v té době dělala. Pro fotografa magazínu Life prostě jen matematici zaplnili plochu obecnými rovnicemi, aby demonstrovali charakter své práce." Ono i v roce 1961 bylo asi vhodné, aby se skupina matematiků sešla dohromady a prováděla matematické analýzy nových problémů společně. Kolem papíru by se mačkali, meotary ještě myslím že nebyly, tak zbyla klasická tabule a křída. Jen nevím, proč pro magazín LIFE čmárali zrovna na svislou a ne na vodorovnou tabuli. Možná jen pro větší efekt na obálce společenského magazínu. Permalink Submitted by milantos on Fri, 03/06/2015 - 15:09. Nevím, proč by se takhle , formou "počítačové párty", počítaly první lety do vesmíru, když v té době byla k dispozici sálové počítače. Permalink Submitted by Arccos on Fri, 03/06/2015 - 17:19. Já si nejsem jistý, jestli tehdejší počítače zvládaly obecné výpočty, odvozování vzorců a podobně. Spíš byly určeny k brutálním výpočtům, podobně jako pozdější kalkulačky, případně numerické simulace. Permalink Submitted by Petr_Šída on Fri, 03/06/2015 - 18:10. Permalink Submitted by novák on Mon, 03/16/2015 - 08:50. Permalink Submitted by novák on Mon, 03/16/2015 - 16:12. Permalink Submitted by Erakis on Mon, 03/16/2015 - 18:27. Ach Bolden, Bolden... Kebyže ide iba o bežného "manažéra/politika", avšak on je aj bývalý astronaut, čo štyrikrát letel do kozmu! Nielen hodne smutné, ale vzh¾adom na jeho funkciu a skúsenosti absolútne zarážajúce. Permalink Submitted by alamo on Thu, 03/26/2015 - 19:40. Permalink Submitted by yamato on Thu, 03/26/2015 - 20:29.